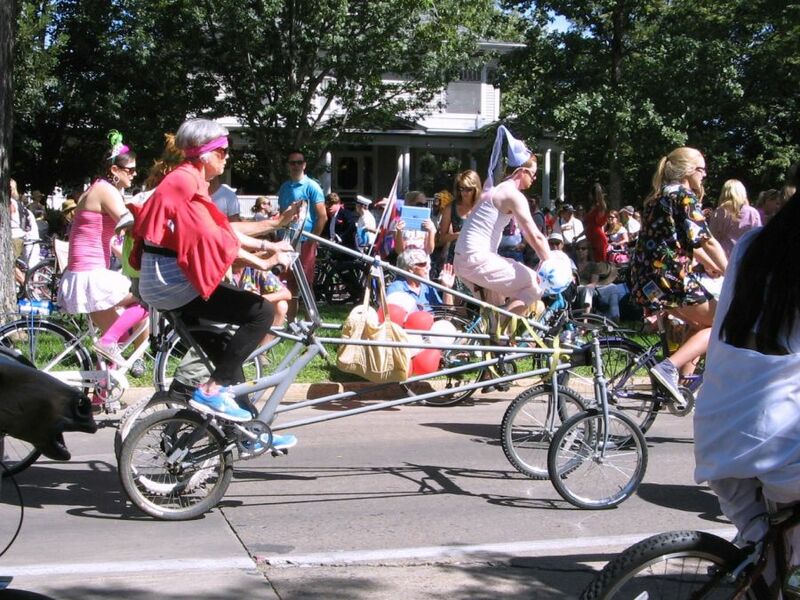 While the decorated bicycles in this year’s Tour de Fat parade were my favorites, I was amazed at the wide variety of bicycles and other human-powered vehicles that rolled past us. There were thousands of road and mountain bikes, but there were plenty of other kinds of vehicles as well. Two-wheeled bikes came in every size. There were tall and small ones, and even old-fashioned big-wheeled pennyfarthings. I don’t know how this guy stayed upright. The parade slowed to a stop many times which must have been a challenge for many of those riding unusual bikes. 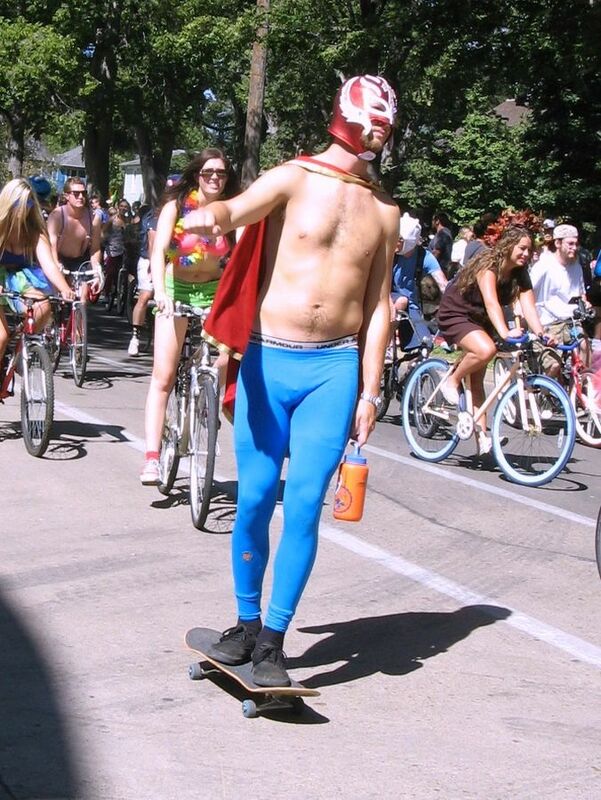 Winner of the most extreme rider-to-bike ratio. 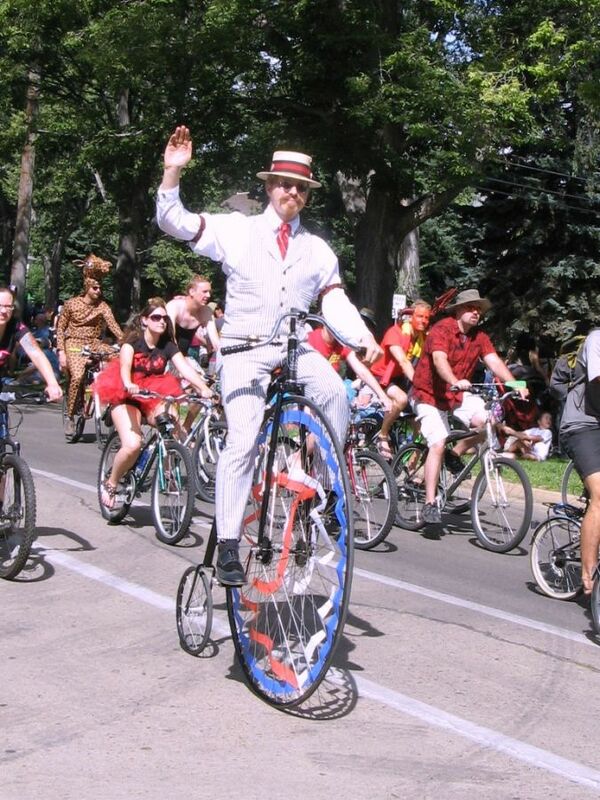 There were quite a few pennyfarthings, but my favorites had riders in period costume. Some of the bikes had more than two wheels. 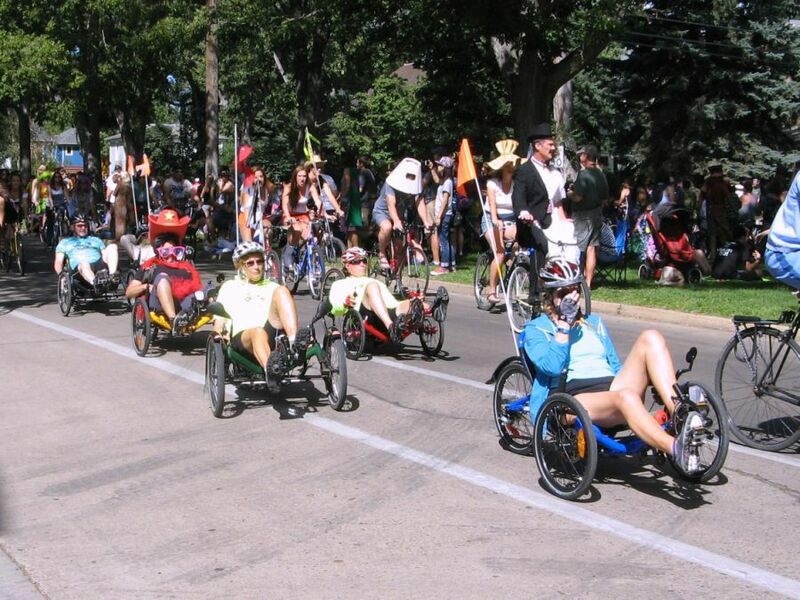 There were three-wheeled recumbents and a four-wheeled stretch limo version of a bike as well. 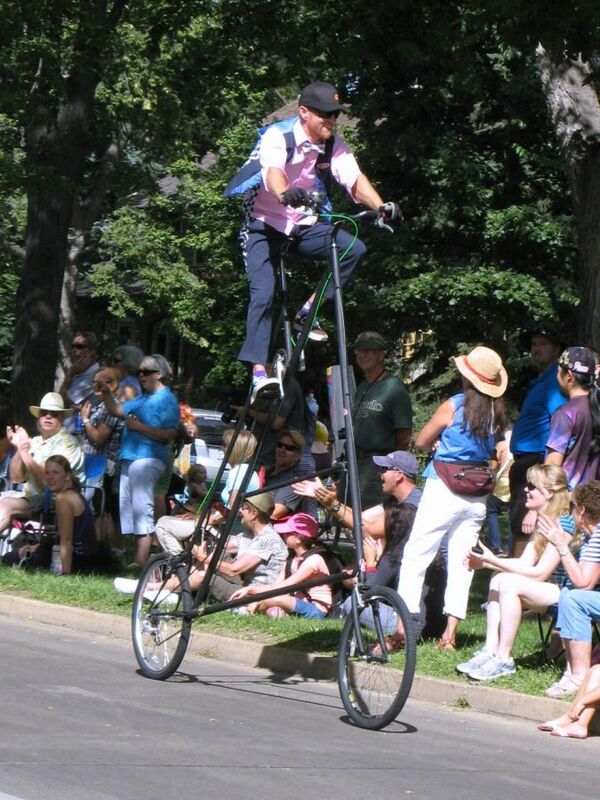 This extra-long stretch bike has four wheels. 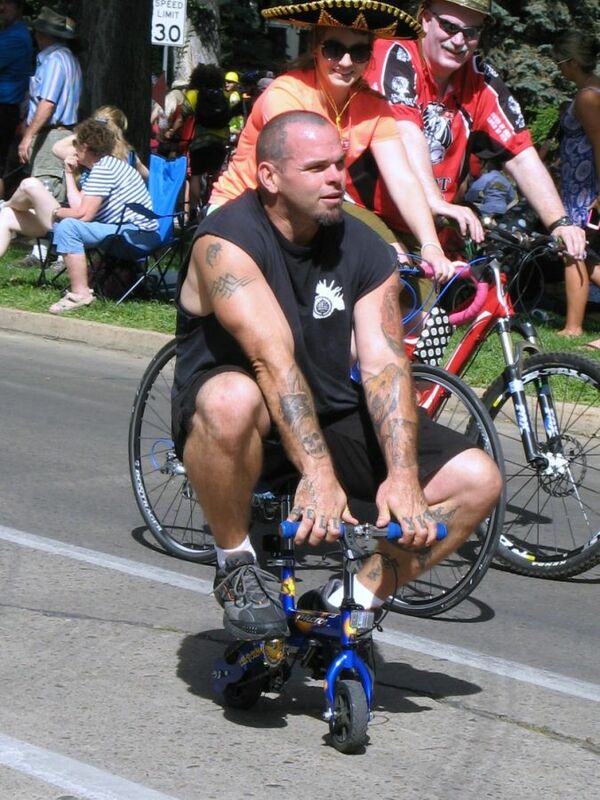 There was also one bike that looked like a modified Big Wheel from childhood which made me laugh. 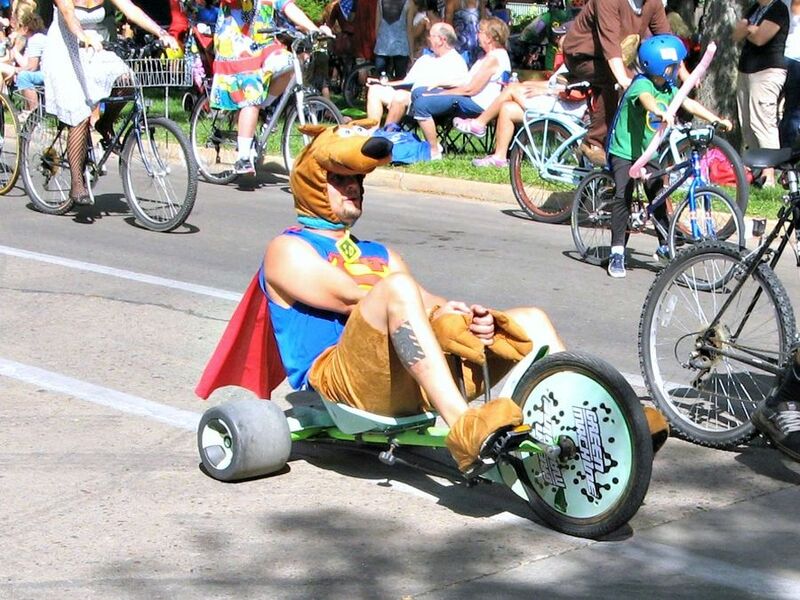 Super Scooby on the Green Machine. And there were the rebels who showed up with wheels, but not on a bike at all. It’s man-powered and has wheels, so I guess it counts. It was fun, if a bit overwhelming. There were unicycles, too, but I didn’t get a picture of one of those.